Following the terrorist attacks of Sept. 11, 2001, Osama bin Laden becomes one of the most-wanted men on the planet. The worldwide manhunt for the terrorist leader occupies the resources and attention of two U.S. presidential administrations. Ultimately, it is the work of a dedicated female operative (Jessica Chastain) that proves instrumental in finally locating bin Laden. In May 2011, elite Navy SEALs launch a nighttime strike against bin Laden's compound in Pakistan, killing him. 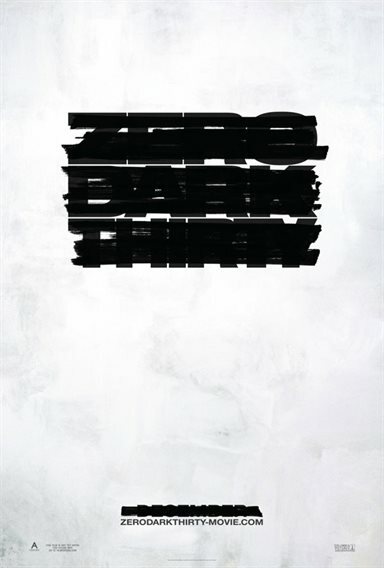 Download Zero Dark Thirty in Digital HD from the iTunes store. Zero Dark Thirty images are © Columbia Pictures. All Rights Reserved. This step-by-step insight into how the CIA found Osama Bin Laden and then blew him away is nicely produced, directed and acted. I found the film involving, intriguing and then startling, playing out like a news story happening before my eyes. Even though you know the story from the media, you will be shocked with the finale of this nearly 3-hour suspense filled movie. Although names have been changed the true account tells the story of CIA operative Maya Lambert who right from schooling gets hired by the intelligence agency to find Osama Bin Laden. Obsessed with her job she presses on through ten long years of digging, interrogating, nearly getting killed and witnessing an inordinate amount of death in the name of terrorism. Training under some of the best investigators, Maya learns how to handle herself with the sly terrorists and finally gets a break that will lead her to being the only one convinced of Bin Laden's whereabouts. The film has a long and zealous script that I found necessary, yet challenging. The nearly three hours are worth every minute as the plot builds to its final climax. As a bonus, even though I knew it's outcome from the copious amount of media coverage on May 2, 2011, my heart was pounding and I was shocked that even though the attack was decisive, how deliberate and revengeful the outcome. Jessica Chastain does a terrific job of playing Maya, the determined operative who at first finds torture very appalling until she realizes that the continuous suicide bombings are masterminded by captives like the ones she interrogates. Many times with her back to the wall, Chastain's character lashes back at her superiors and Washington political leaders, especially when she's making headway. Throughout the years from September 11, 2001 you can see her character grow with each terrorist attack and piece of evidence that will help her find the most wanted man on earth. In support there are many cast members who deserve accolades for performances that are realistic and believable. Leading the pack Jason Clark plays Dan, Maya's teacher and confidant. His strong will and brutal tactics during interrogation made me a believer that the person receiving the punishment was breaking down and that his information would save lives. Producer/director Kathryn Bigelow goes far and above The Hurt Locker to show the damage caused by terrorism and he need to take down their leaders. As the movie plays out, you can see her attention to detail, rigorous planning of scenes to fit the timeline and her commitment to show what really happened as close to reality as possible. The choreography of the final takedown made the attack look so real because she even used actors who had the skills of Navy Seals for the combat unit ordered to take the top terrorist down. She pulls no punches during the interrogation scenes showing torture tactics and psychological techniques to bring a suspect around. Zero Dark Thirty should be on the short list for Best Picture when the Oscar list becomes available. The only thing standing in its way is another tense film called Argo. It will be a great show and a fight to the finish when these two films go head-to-head at the Academy Awards. My guess… well you'll just have to wait for my predictions come mid February prior to the February 24, 2013 show. Zero Dark Thirty has been rated R by the MPAA for strong violence including brutal disturbing images, and for language. The film contains a depiction of a shooting massacre and torture techniques that may be unsettling to some viewers. Straight up a boring movie... /: I typically don't make comments when I'm displeased. However, I will likely NEVER watch this movie again.